Let us take a look at the impressive history surrounding the Imperial Russian Ballet. Even though ballet was or may have been invented in Italy and France initially, one can definitely say that this beautiful art form was refined and invigorated in Russia. Ballet developed and evolved in the 18th century in Moscow and St. Petersburg in dance schools, some of which were associated with orphanages. The first ballet performance by the Russians happened in 1673. The Imperial Ballet School was founded in 1738 and was named Vaganova Academy of Russian Ballet. The Mikhailovsky Theater of Ballet was founded in the 1930s and the St Petersburg Eifman Ballet was founded in 1977. While the Mariinsky was infiltrating the ballet circuit across Europe, Moscow’s answer to St Petersburg’s now world-famous dance troupe came in the form of the Bolshoi Ballet. The Mariinsky Ballet, which is also known as the Maryinsky Ballet was formerly the Kirov Ballet (1935 to 1991). Its traditions are derived from its predecessor, the Imperial Russian Ballet. In the Imperial Russian Ballet, the leading 19th-century choreographers came to the fore. These included Jules Perrot, Arthur Saint Leon, and Marius Petipa. 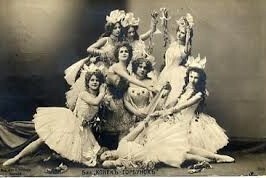 Dancers like Marie Taglioni, Olga Preobrazhenska, Matilde Kschessinskay, Vaslav Nijinsky, Anna Pavlova, Tamara Karsavina, Michel Fokine, George Balanchine and Maria Danilova all hailed from the Imperial Russian Ballet. How Did The Imperial Russian Ballet Begin? The Imperial Russian Ballet began as a dancing academy which was founded in St Petersburg in 1738. Its early performances took place before the royal court and then after 1780 in the Petrovsky Theatre, which is now well known as the Bolshoi Theatre. 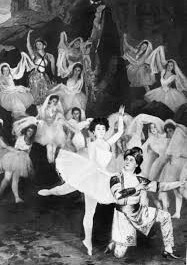 The Imperial Russian Ballet was then established as a professional company and it became the center of Russian Ballet. In the late 19th century the company moved to the Marinsky Theatre, where it became the resident ballet company, acquiring the Mariinsky name. During the October Revolution of 1917, the ballet company lost 40 percent of its personnel but was able to maintain its repertoire and its technical proficiency under the teacher Agrippina Vaganova and the artistic director Konstantin Sergeyev. During the Soviet period, the theatre was renamed the S. M. Kirov State Academic Theatre of Opera and Ballet, and the company became known as the Kirov Ballet. Works with a heroic theme were produced as well as many experimental works like Igor Beisky’s The Coast of Hope in 1959. After 1961 the company toured Western Europe, the United States, and Canada. With the breakup of the Soviet Union in 1991, the theatre and the company reclaimed their Mariinsky name. Which Are The Top Classical Ballet Companies In The World? So as you can see the Bolshoi is only third on the list at the moment, but to me, over the years they have definitely proven themselves over and over. ← Who Was Marie Petipa?